At Premier, we want you to get the most for your trade-in, so we include you in the appraisal process for your trade. Together, we’ll come up with a price that’s fair and make sure you get what your car is really worth. Is credit holding you back? Not at Premier Auto Center. We have built valuable relationships with special lenders that can help solve even the toughest credit solutions, getting in your dream vehicle today. Dave was very helpful in helping my husband get his car. He was most helpful in explaining how he could build his credit back up. We appreciate his help greatly. I love this place! Everyone is so friendly, they did their best to get me the best deal, worked with me on payments, they are respectful with great attitudes! Such a great environment. Eddie helped me get into a new car with a lower monthly payment than I was paying with my old car. I would definitely recommend everyone who is looking for a new car and excellent deals! Thank you so much Premier Auto Center! thanks for helping me establish credit. See you in a year. So far has been one of the best auto buying experiences I’ve had, the staff was very friendly and inviting. We didn’t have great credit but they were able to help us find a vehicle that fit our needs, I would recommend premier auto center to anyone who thinks they can’t get a loan. When I saw the commercials on TV, I thought too good to be true. After wasting my time with other imposters who sell junk, I took the 45 minute drive from southeast to northwest Tucson side if town to Premier Auto. I was greeted by the mgr Ervin, he is AWESOME!! He introduced me to Solutions Specialist, RANDY ZIMMERMAN. Randy is educated with his craft, a true professional, easy to speak with and most of all…..STRAIGHT-FORWARD. This is the car buying experience of a….LIFETIME!! I am almost 60yrs old….not s kid…THIS IS THE BEST EXPERIENCE EVER!! 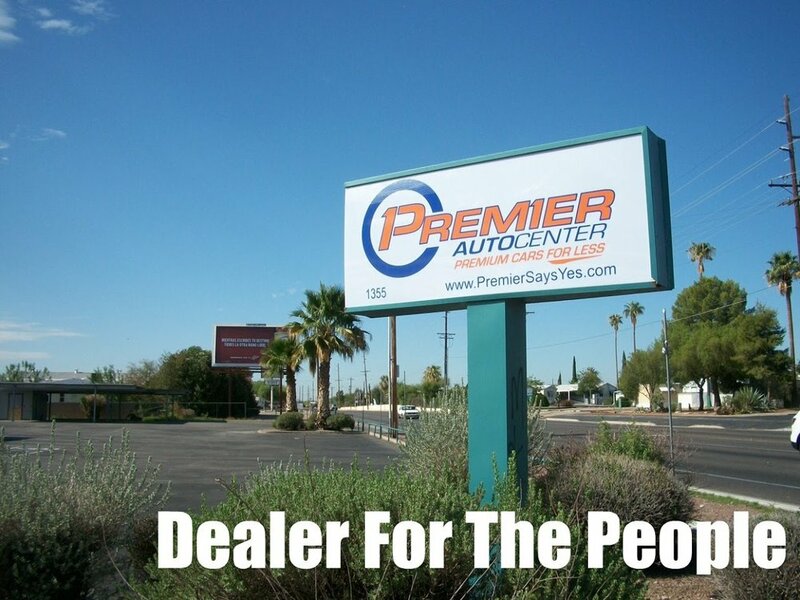 I HIGHLY RECOMMEND PREMIER AUTO, and especially, RANDY ZIMMERMAN, MY SOLUTIONS SPECIALIST. Believe the commercial, Scott Lehman, is not JOKE!!! If anyone is interested in getting into a new car definitely go see Randy he will take care of you, I also dealt with Rich and both were awesome! In and out..Painless car buying, awesome deals! They got me the payments i needed as well. Would definitely recommend. First, I want to give Dash(Tyler) a bigg thank you! Without his help I would not have been able to give my wife the surprise birthday gift of which was her new car. Dash and the staff at Premier went above and beyond to help me purchase the car that was perfect for my wife. I would recommend and without a doubt purchase another car from them. A great sales team! Lou V.